This is especially true for new infrastructure projects, or greenfield projects, that need to be funded. The focus on the role of ECAs needs to encompass that of an insurance provider, an investor and a liquidity provider in foreign exchange. A centralised agency needs to be set up to work with foreign private investors and ECAs. The focus should be on a few specific infrastructure sectors to start with. This will help develop a template for the partnerships to work for all other sectors in the future. Once the sectors are identified, the focus must be on creating contract templates that can be used to create efficient financing mechanisms. Only once the projects in the pilot sector are implemented should the mechanism be used to fund new sectors. A well-drafted financing and contract mechanism will go a long way in boosting investments in the years to come. There are a few fundamental advantages that a robust ECA mechanism can provide that will boost infrastructure investments. Firstly, a lot of foreign commercial lenders may not be able to access Indian investments, especially greenfield, due to the perceived high credit-risk involved. 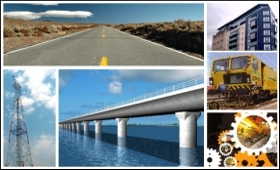 The ECA can provide insurance to make infrastructure assets in India more attractive. Secondly, ECAs, with their credit insurance and political risk insurance, make debt investments more attractive for foreign investors. Debt will be the primary source of funding. ECAs, through their credit-risk mitigating mechanism, greatly assist in boosting debt investments. Thirdly, ECAs need to work with private investors to look at products that help extend the maturity of the payment stream due from the project or the borrower. This will help foreign commercial banks with capital to deploy in longer-dated infrastructure projects. Simply put, a foreign lender looking for 10-year assets, might be able to finance a 15-year asset if ECAs can design a product that helps in doing so. Being able to extend maturities will make more infrastructure projects feasible for lenders. Fourthly, ECAs can also assist in boosting infrastructure by creating mechanisms that allow foreign lenders to lend in their home currency. One of the biggest risks foreign lenders in India face is the foreign exchange risk. ECAs can create pools of liquidity that allow lenders to hedge the local currency risk from India. From a due diligence perspective, ECAs can act as a second layer of analysis and risk management, as each ECA will undertake its own independent risk analysis of projects. Lenders who come through partnerships with such ECAs will be able to finance projects that are likely to be of higher quality and better structured. The ability of the ECA to do additional analysis and provide the requisite funding mechanism will also encourage more greenfield risk-taking. A well-structured regulatory mechanism in partnerships with multiple ECAs has the potential to provide the required boost to greenfield projects. The Credit Enhancement Fund announced in the Budget in 2017 can also get a boost by collaborating with ECAs from different countries. The Fund is a great start, but if policymakers can create an environment to encourage ECAs, it will lead to more efficient capital flow within the ecosystem. The aim of the Fund is to provide a boost to infrastructure investments by providing insurance to infrastructure projects. Allowing ECAs from other countries to operate within India will allow even more infrastructure investments to be created. In a country with a large infrastructure deficit and a banking sector struggling with NPAs, effective mechanisms to improve the flow of credit is essential. ECAs provide a significant source of funding and expertise that must be looked at in greater detail.